To come cruise with us! Cruise, Outdoor Movie and Car Club Gathering! For this fun-filled action-packed event! Of almost every make and model. Welcome to the Blaine County Cruise! 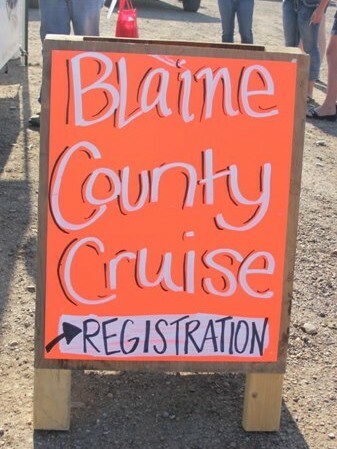 Cruise with Us in Blaine County, Montana! This year, the cruise will travel from Chinook, Montana to Turner, Hogeland (Airmen's Memorial), Zurich, Harlem and back. The all-day cruise will travel approximately 135 total miles from Chinook and back. Bring yourself back to a time when Drive-In Movies were prominent and enjoy a fun-filled evening at the Blaine County Cruise. Friday will be showcasing the movie Herbie (The Original) and Saturday we will be showcasing Fast & Furious 8. Games and Challenges will be played at stops along the route, and if you receive the most points of everyone on the cruise, you could win $1000 cash! 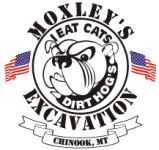 Sponsored by Moxley Construction, Pike Construction and Miller Motors. The Blaine County Cruisers were formed in 2011 by a group of car enthusiasts in Chinook, Montana. Since the creation of the organization, they have organized the Blaine County Cruise, traveling in many different directions each year and showcasing the amazing cars of the area. The Blaine County Cruisers are always seeking members, and membership is $20 per year. You can become a member by contacting the Blaine County Cruisers at (406) 357-2470 or by filling out the membership form below. A very special thank you to our Corporate Sponsors! See all our sponsors here.